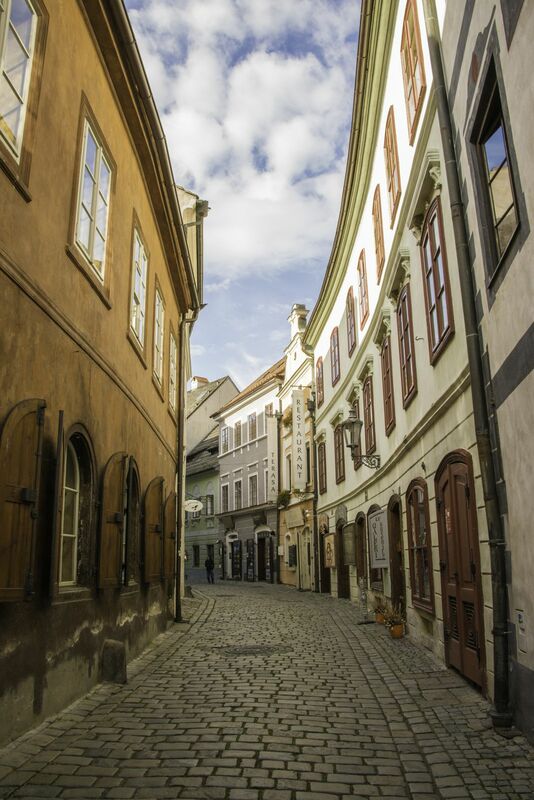 A narrow cobbled street in the well preserved medieval town of Cesky Krumlov has a timeless feel. Dropped onto the scene, it could be any era. I love the colors and the way the street opens to the sky.